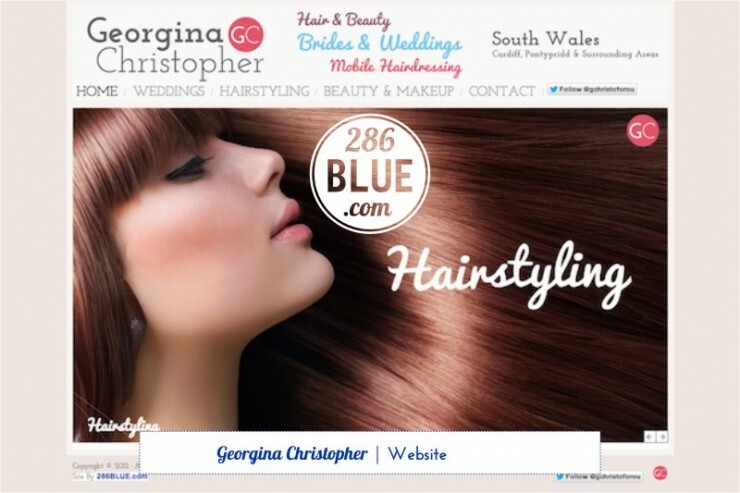 A simple 5-page website to promote the services offered, such as hair & make-up for brides on their wedding day, 286Blue.com created the website & branding, as well as registering the domain name & hosting the site. Alongside lipstick and eyeshadow tones of pink, purple, and blue, a soft palette of muted pastels keeps the website elegant yet contemporary. A stylish serif font was chosen for the main logo and body text, with a more playful retro font, reminiscent of 1950’s beauty parlours, for headlines.